On March 3, 1943, B-17F (42-29565) crashed approximately 180 miles off course in the White Mountains of Arizona at approximately 9500 feet. Nine men died in the crash. 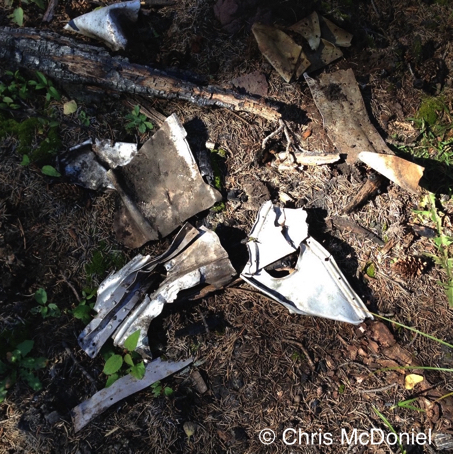 The aircraft was on a student navigation training flight. On this leg of the trip, the plane was going from Portland, Oregon, to Las Vegas, Nevada. 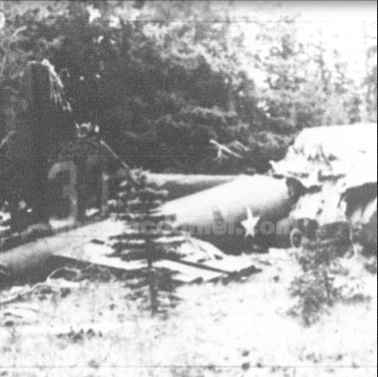 While the search was on for the B-17F, another B-17 crashed on March 5, 1943, in the mountains North of Flagstaff. Not that the March 5th crashed pulled resources away from the March 3rd wreck, but search teams such as the Civil Air Patrol were having a tough time even narrowing the search area for 42-29565. On March 17, the search was called off. In May, Senator Harry Truman contacted the Army Air Forces wanting to know if any searches were made in Mexico, "Senator particularly wants to know extent of search if any made in Mexico..."
In July 1943, two events led to the crash site being located. Range riding cowboys came across the body of one of the soldiers several miles from the crash. The soldier survived the wreck, made some make shift crutches, and was trying to hike to safety. Once word got around that a dead soldier was located, an intense search was conducted in the mountainous area. 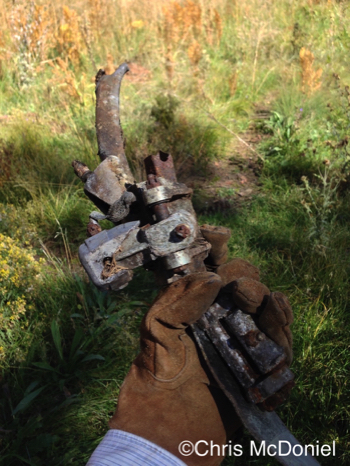 The smashed plane was eventually discovered among Aspen trees on Burro Mountain. The wreck site today is easily accessible, but very small debris remains. 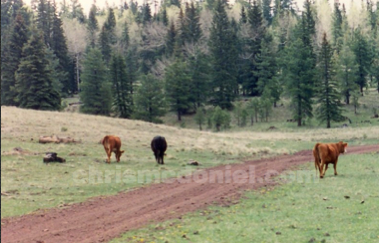 I've walked the distance from the crash site to where the cowboys came across the dead soldier. Unusual piece from the B-17. Piece of aluminum with some paint. 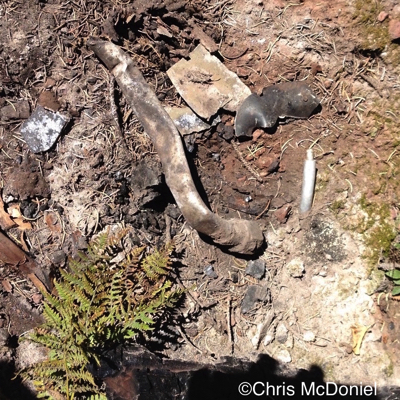 Recent forest fires have revealed smaller pieces previously covered by pine needles. 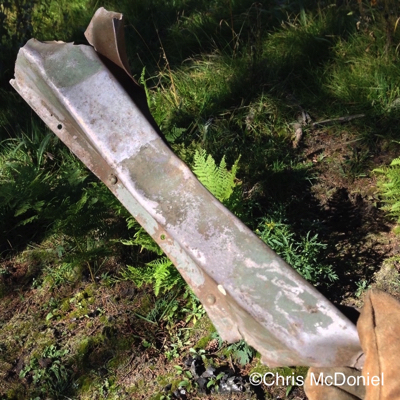 More small debris exposed after recent forest fires. One survivor of the crash walked several miles to this area before dying of exposure.